Chop the cabbage finely and place in a large bowl. Sprinkle 1 tsp of sea salt and squish the cabbage with your hands until it becomes a little soggy (The cabbage will seam hard in the beginning but as you continue squishing it you’ll notice it softens, should take you 1 minute at least). Leave the cabbage to soak in the salt and release the juices, in the meantime peel the carrots, julienne them and add to the cabbage. Add the dill as well. Sprinkle on top of the veggies sugar, lemon, and vegetable oil and mix well with your hands. By now the cabbage will be very soggy so the mixing will be easier. This salad is great with any fish or meat recipe, instead of having them with rice or other type of carbohydrate. 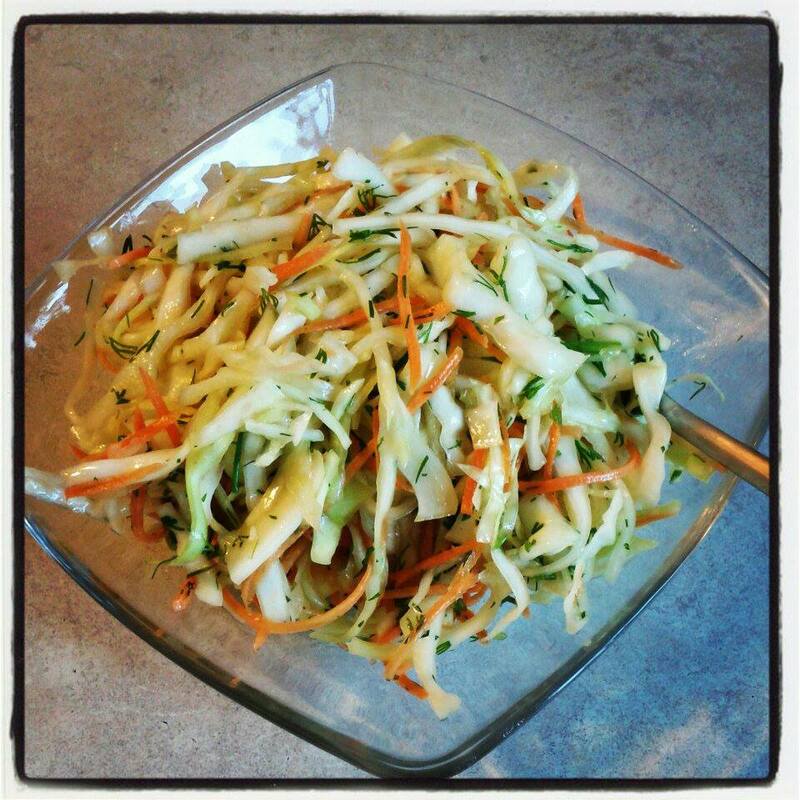 Cabbage salad + fish/chicken = Smart Salad!